TL; DR: When a number of small, like-minded hosting companies merged to form SuperWebHost, their organizational structure and size may have changed, but their missions didn’t. These businesses had built themselves up by paying close attention to every customer, and SuperWebHost remains true to that aim — delivering quality service to everyone from the 20-something tech-whiz to the 60-something mom-and-pop shop owner. 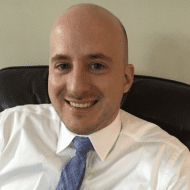 We recently sat down with Managing Partner Billy Cooter, who told us how SuperWebHost is able to anticipate the direction of the hosting industry and deliver the services clients need by keeping a finger on the pulse of its customer base. Long before SuperWebHost became the company it is today, several entrepreneurs, web designers, and developers had — independent of each other — started their own small hosting businesses. Over the years, these small, like-minded business owners realized they could better serve their customers by joining forces. And, through a number of mergers and acquisitions, SuperWebHost was born. SuperWebHost’s mission revolves around three pillars: powerful hosting, customer care, and top-tier tech support. Because of their small size, these businesses grew to know their customers extremely well. By the time they merged and became SuperWebHost, the leaders of these businesses understood that their clients didn’t want to spend time working on the mechanics of keeping sites online. 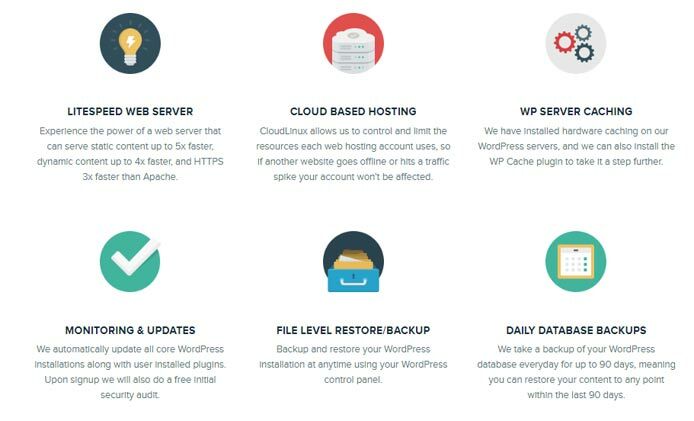 Today, SuperWebHost offers a variety of services, including shared hosting, WordPress hosting, and managed cloud solutions. The common thread that runs through all the company’s offerings is a commitment to giving hard-working customers fine-tuned products that allow business owners and entrepreneurs to focus on the work they love. In an industry notorious for bad customer service, SuperWebHost differentiates itself with a rare dedication to its clients. That’s one of the biggest reasons why SuperWebHost has built such a strong customer service department. SuperWebHost offers a number of hosting solutions perfect for businesses of any size and budget. It’s easy to get too technical and confuse customers who aren’t familiar with the latest tech developments. But it’s also easy to insult the intelligence of highly trained tech experts. As a result, SuperWebHost has stayed true to a simple idea — the team gets to know every customer and takes the time necessary to develop relationships. Billy told us the company’s representatives aren’t afraid to ask questions. And it’s this attitude that he thinks keeps SuperWebHost’s customer service a cut above the competition. Over the past few years, Billy has watched the average hosting customer become more tech-savvy. Even individual accounts have been transformed. “I’ve picked up the phone ready to talk to a customer who traditionally has needed lots of hand-holding, only to have the person on the other end of the line say, ‘Hi, I’m the new contact for this account’ and then rattle off 20 super technical questions,” Billy said. SuperWebHost’s flexible cloud servers deliver scalable infrastructure for growing online businesses. As their customers become more fluent in today’s technology, SuperWebHost has had to change the ways it promotes its services. SuperWebHost is addressing the issue by delivering more information on its services and posting educational pieces delivering industry best practices on the company’s website. One example of this is SuperWebHost’s initiative to inform customers about Google Chrome’s changes to SSL sites. “We want our customers’ sites to run smoothly, and a big part of that is keeping them informed about big developments in the online space,” Billy said. Throughout its early years, SuperWebHost focused primarily on shared hosting services. But the team began to notice that more and more customers were starting to call up and ask about a wider range of products. SuperWebHost’s WordPress plans let customers focus on their businesses — not the technical complexities of WordPress. For example, Billy told us that a number of customers were contacting the support team with questions about WordPress. Users were having problems managing their WordPress sites, and needed help figuring out how to best run the CMS. It’s another example of SuperWebHost’s commitment to closely listen to customers and enhance or develop new solutions to give those customers what they want. For years, SuperWebHost did most of its business in Canada, but plans are in the works to widen its footprint across North America. Billy told us that SuperWebHost’s expanded US infrastructure will be built to deliver unfailing security. In addition, SuperWebHost’s new infrastructure will have more DDOS protection services. SuperWebHost may not be the lowest-priced hosting business, but that’s not its goal. Most hosting providers don’t have that attitude. And Billy noted many low-cost hosts take on huge volumes of customers at the expense of hands-on support and customer care. Billy told us that SuperWebHost has the opposite philosophy. For Billy and his team, the company’s entire business model rests on taking care of its customers. “We’re willing to do whatever it takes — spend two hours with you on the phone, go through 20 back-and-forth emails, or kick the problem up to management,” Billy said. Even when it doesn’t make financial sense, SuperWebHost sticks by its customers.